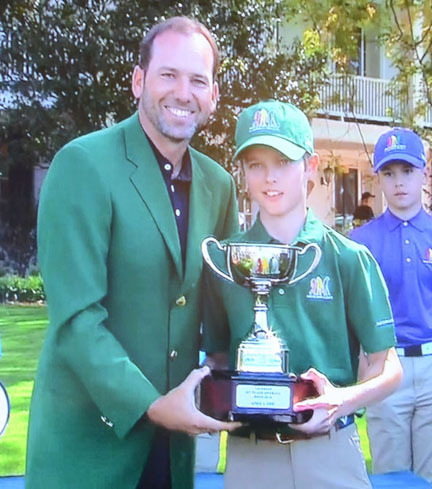 Tip Price is presented with his championship trophy by defending Masters champion Sergio Garcia after winning the 10-11 year old competition in the Drive, Chip & Putt competition at Augusta National. It might be another 10 or 11 years before Tip Price can compete to win a Green Jacket at Augusta National, but right now he has the next best thing. The Greenville Country Club junior was presented with the trophy for winning the 10-11 year old age group at the National Drive, Chip and Putt competition. The finals of the event were held at the home of the Masters on Sunday. Price earned his way to Augusta with a win in the regional competition in Pinehurst last summer. The fifth grader thought going into the competition that his driving would be his strength, and it was. Price won the driving portion of the competition. He finished second in the chipping competition and fourth in the putting event that was held on the 18th green. Price had the second highest point total among all the boys in the competition. 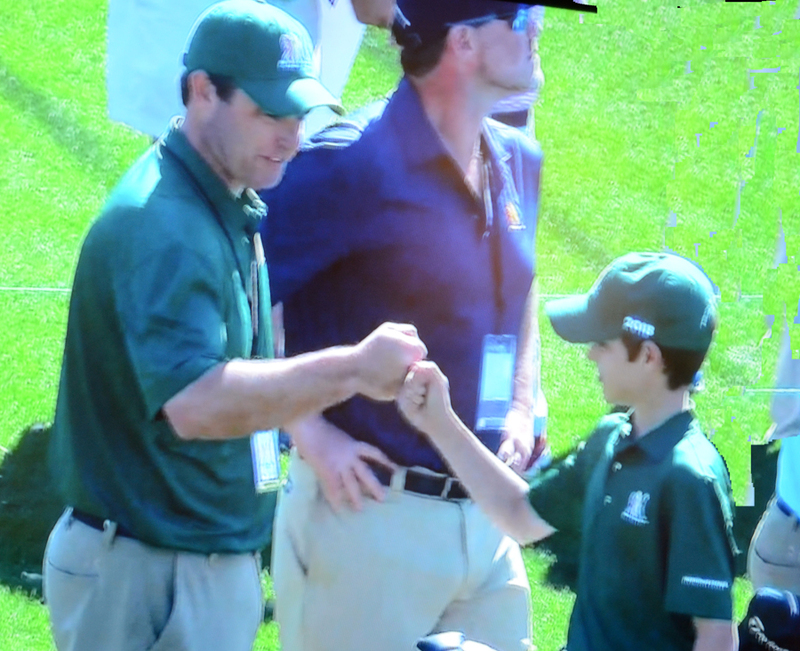 Tip gets a fist bump from his Dad Brian after winning at Augusta National. 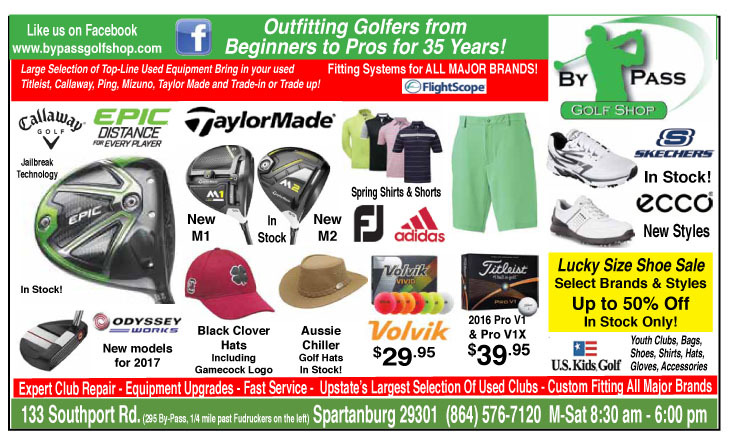 When asked by the Golf Channel’s Charlie Rymer, a former South Carolina Junior champion, if he thought he had a chance to win, Price answered confidently. “I thought I had a chance, everybody has a chance,” said Price. “Everybody is pretty good, so its just depends who’s day it is and today it was mine,” he added. Garcia has some advice for Price. “He told me congratulations and he told me to breath, that is what he said to me,” Price said. 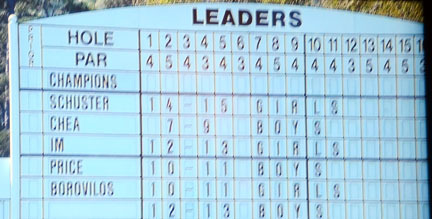 Price had his name on the famous scoreboard near number 18 at Augusta National as the 10-11 year old age group champion. The Greenville golfer already has recorded age group wins in the Carolinas. 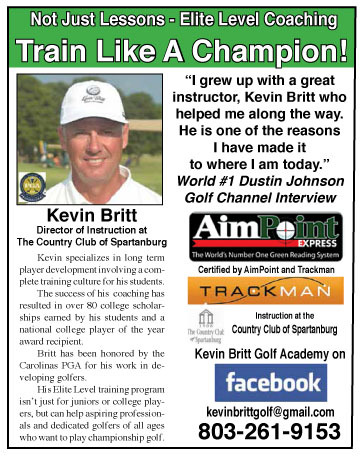 He won the Grant Bennett championship at the Florence Country Club and the Upstate Junior at Smithfields last summer. Two other golfers from the Carolinas also won their age group competitions. Ella Hannant from Pikeville, NC won the girls 7-9 year old title while Katherine Schuster of Kill Devil Hills, NC won the girls 14-15 year old division. In addition to a big trophy and a chance to meet defending Masters champion Sergio Garcia and other great professionals Price and his family will have the opportunity to be at Augusta National to watch some of the practice rounds. Price won the driving portion of the competition, was second in chipping and fourth in putting. 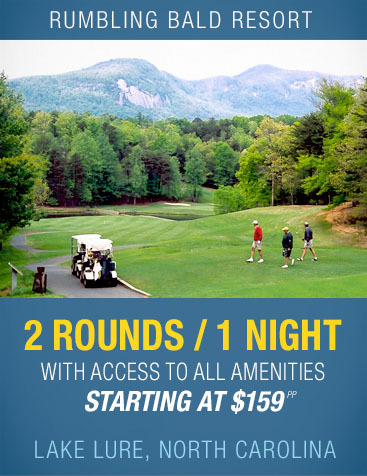 The competition is presented by the USGA, PGA of American and the Augusta National Golf Club. “Our goal is to inspire a lifelong passion for golf, and if our participation helps we have accomplished our goal,” said Augusta National Chairman Fred Ridley.